Closeout stock that's available to you at some of the lowest prices available! David A. Banks is happy to be able to offer mark downs on a number of our models. We've got deals on pieces of equipment from across the brand spectrum, and can offer prices that you'll be hard pressed to beat! 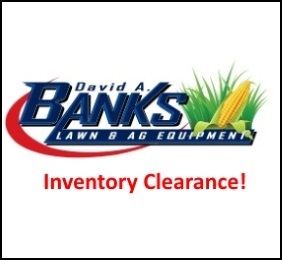 Featuring selections from each of our major brands, our clearance products are all available on location - so be sure to stop by and check them out today! Browse some of our available clearance products below or contact us now for more information.